We enthusiastically welcome children of all ages! Free childcare is available for families with infants and small children in Trinity’s nursery during most services. Families who prefer to have children with them in the service are welcome to do so. 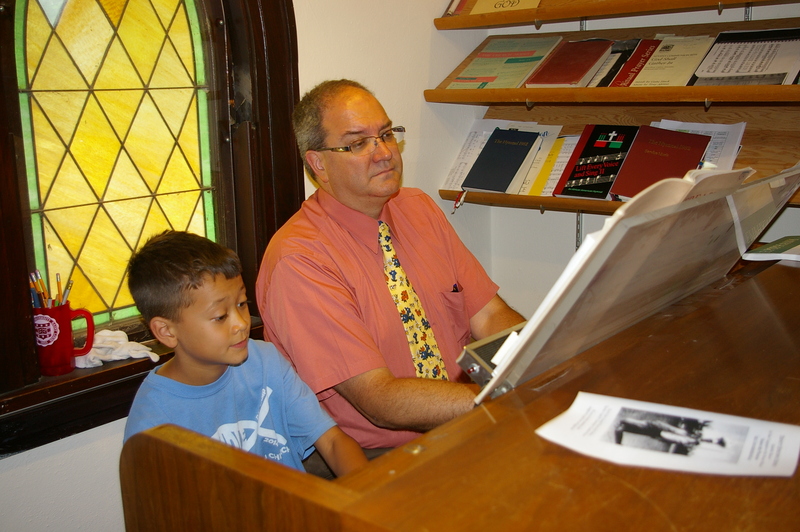 Joyful voices of all ages participate in our services. Activity bags appropriate for children too young to actively participate in a service are located at the Church entrance. 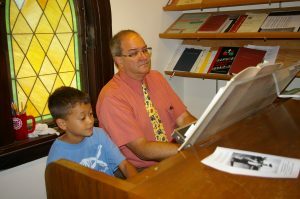 At present, our older children participate in collaborative Sunday School with children at First Presbyterian Church; we also do a shared Vacation Bible School with them. Middle and High School youths are also welcome to join the Presbyterian’s fellowship programs. In the recent past, we have enjoyed working with our children using the Godly Play curriculum . When there are sufficient children of appropriate ages, we will reinstate Sunday School/Children’s Formation at Trinity.